The 2 in 1 desk offers the best of both worlds. It has a drawer and our standard lift up lid for access to storage inside. It is pictured in Walnut with our optional slatted storage rack below the desk. 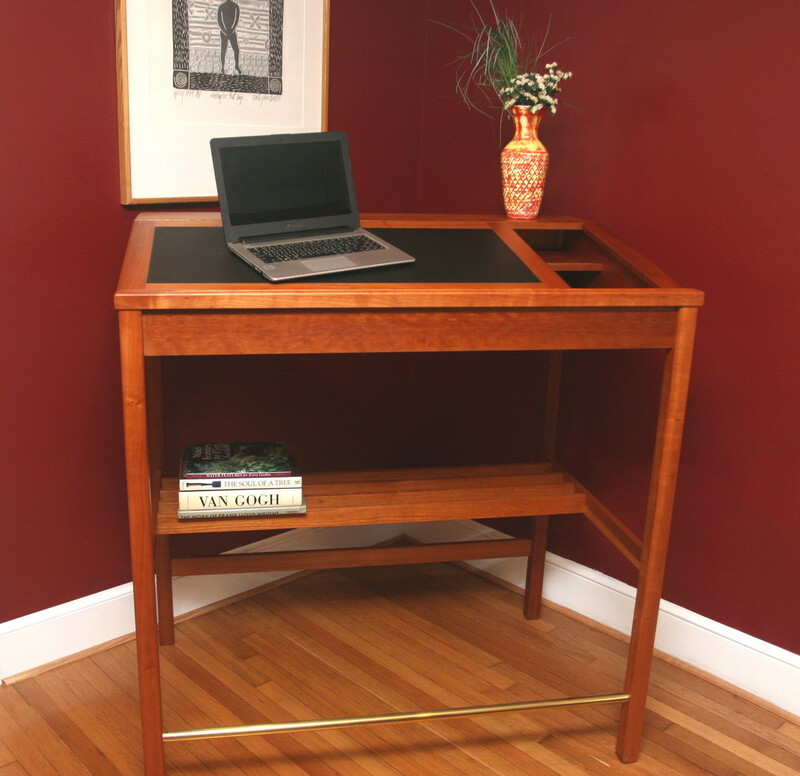 The 48" wide desk is pictured in Mahogany with our standard single stretcher below the desk. It comes standard with a lift up lid for access to storage inside and a flat area on the right side. Shown with burgundy leather. The desk can be divided half flat half angled writing surface or 1/3- 2/3 or how ever you like. The 48" wide desk is pictured in Cherry with our optional slatted storage rack below the desk. It comes standard with a lift up lid for access to storage inside and an open well on the right side. Shown with black leather. The 36" wide desk is pictured in Walnut with our standard single stretcher below the desk. It features a drawer with a fixed lid,. Shown with burgundy leather. 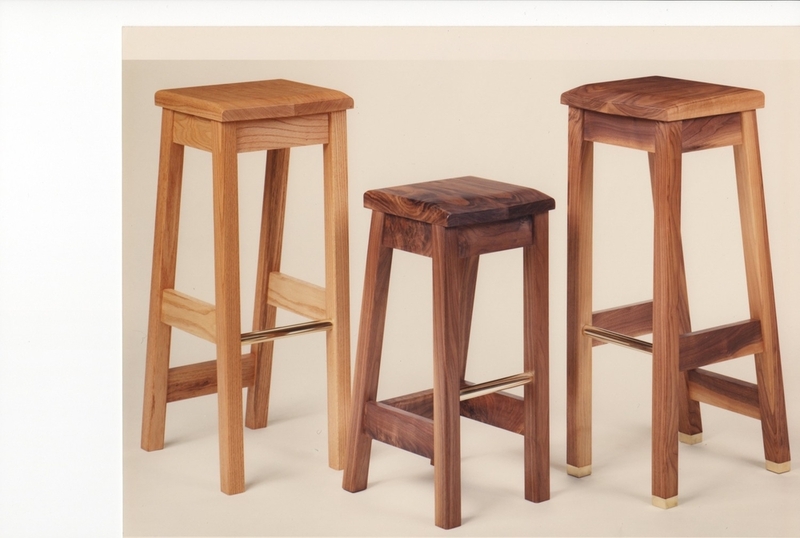 Far left stool pictured in Oak. Center stool pictured in Walnut. Far right stool pictured in Walnut. The 36" wide desk is pictured in Cherry with our optional book shelf below the desk. It comes standard with a lift up lid for access to storage inside and an open well on the right side. Shown with Green leather. The 36" wide desk is pictured in Walnut . This features the interior of desk with a full width writing surface. The 30" wide desk is pictured with a black stain. It is shown with our standard single stretcher below the desk.